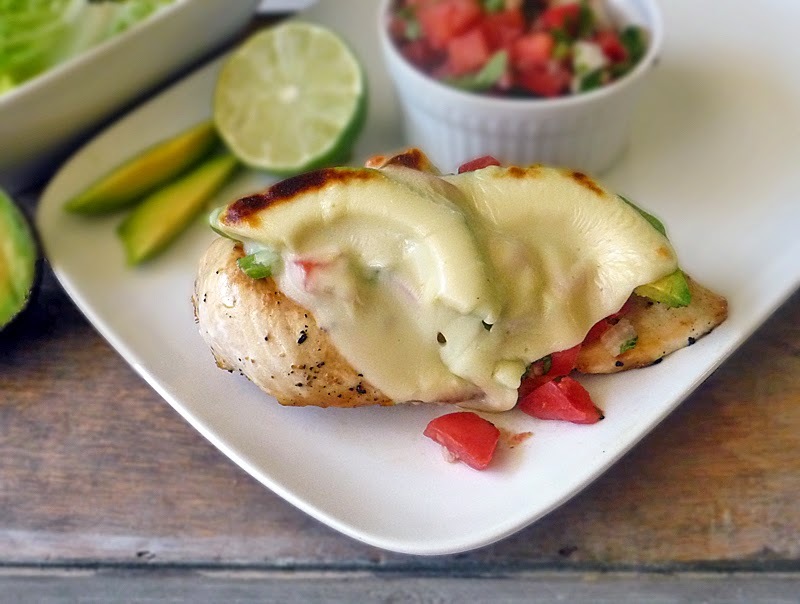 Grilled California Chicken is topped with Homemade Tomato Salsa, fresh avocados, and spicy pepper jack cheese. This easy-to-make dinner is sure to please! I bet you didn't know I could rhyme like that <grin>. Anywho, the fresh avocados pair so nicely with the Homemade Tomato Salsa, but when you top it off with some spicy pepper jack cheese it gets a little out of control! In a good way!! This masterpiece is incredibly easy to make and on the table in under 30 minutes! That's no joke y'all! You grill the chicken about 10 minutes on both sides and then all you have to do is top it with some salsa, fresh avocado, and a slice of pepper jack. Pop that under the broiler to melt the cheese and voila! It's ready to eat! Easy peasy! Turn the oven on broil and set to high. Preheat grill or grill pan and spray with cooking spray. I like the Misto Olive Oil Sprayer . NOTE: I used a Grill Pan set to 375 degrees F.
Season chicken liberally with salt and pepper. Place chicken in grill pan and let sear for 8-10 minutes. Don't move it around. You want to get a good sear, so let it do its thing for at least 8 minutes then flip chicken over and let it cook for another 8-10 minutes. Cooking times will vary according to how thick or thin your chicken is. My chicken was on the thicker side, so I cooked mine for 10 minutes on each side. If you are using especially thin chicken, then you may even have to reduce the searing time on each side so as not to overcook it. Be sure to cook chicken to at least 155 degrees F.
Remove chicken from grill pan and place on a foil covered baking sheet. 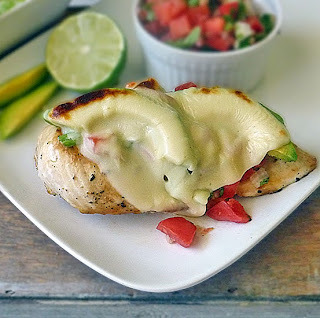 Top chicken with Homemade Tomato Salsa, avocado slices, and pepper jack cheese. Place the cookie sheet under the broiler until the cheese is melted and a little browned. Remember to always leave the oven door ajar when broiling and watch it closely. It can burn very quickly, and we don't want that! It's that time of the month again and I got together with some friends to give away another Kitchen Aid Mixer! Can you use one? 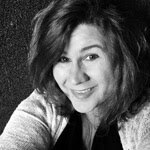 It is the one thing my readers all say they want! I know I couldn't be without mine, if I could only have one appliance in my kitchen it would be my Kitchen Aid Mixer. I have even been known to take it with me when I travel! Oh yes I did! If you have a moment and enjoy our blogs we would appreciate you following us on some of the social sites above. Now that you've met us, it's time to enter! Good Luck! Check out some of our past winners!! Lisa won our first Kitchen Aid Mixer Giveaway, this is her daughter and they were getting ready to bake a birthday cake. Look at Letty's beautiful smile the day she got her Cusinart Ice Cream Maker..... You could be our next big winner! Note: Please make sure to give us an email address where you can be reached easily. Email addresses are only used to for notification if you win and no other reason. this recipe looks super fresh and delicious. would be a great summer evening dinner! You are so right, Janelle! Thanks for stopping by! This simple recipe sounds and looks so delicious! Love it. 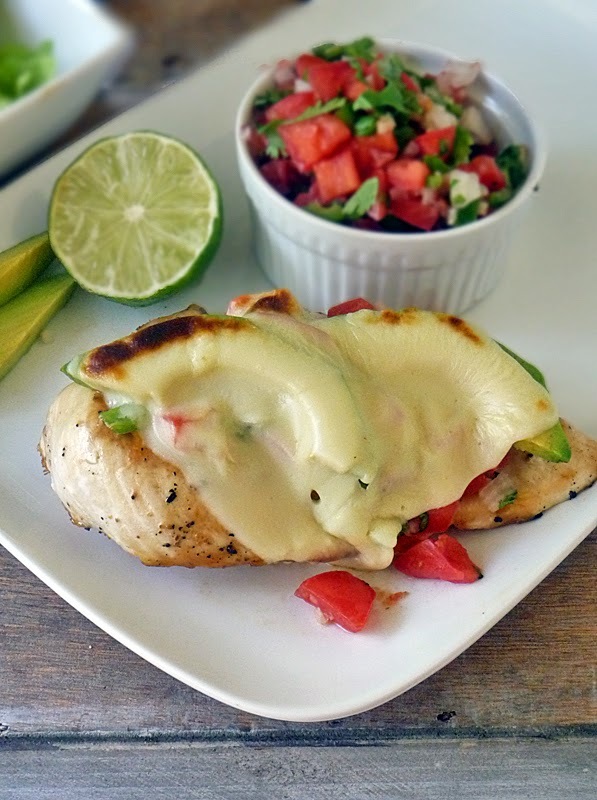 I'm always looking for ideas for boneless chicken breasts! Me too, Renee! I love how simple and fresh this one is! Thanks!! This does look out of control in a good way! ;) Yum!! :) thanks for stopping by Jocelyn!